As the “green movement” increases in the surf industry and surfers emerge as planetary ambassadors, our travel habits weigh heavier on the conscious souls. The surf industry is embracing the practice of carbon offsetting, but there is a long-standing and controversial debate that needs to be looked at behind the issue. The idea of paying for emission reductions elsewhere instead of reducing one's own carbon dioxide (CO2) emissions is not a new concept. It has been around for several years in a regulated form known as “emissions trading,” which was established by the Kyoto Protocol for industrial companies. The term “carbon offsetting” generally refers to voluntary acts by individuals or companies that are arranged by commercial or not-for-profit carbon-offset providers, such as Carbonfund. “Carbon offsetting” is the act of mitigating, or offsetting, greenhouse gas emissions. Basically, if you travel x amount of miles you can buy a credit that does a positive thing for the environment, like plant a tree, to balance out the bad emissions you created from your car, boat or plane when you went surfing. A wide variety of offset methods are in use but tree planting is the primary form of carbon offsetting. Other methods include renewable energy, energy conservation and methane capture and are becoming increasingly popular because they tend to be more directly related to the type of impact -- fuel emissions. At first thought, the idea of planting a tree to balance out the negative impacts of flying a plane doesn’t add up. But here is a basic rundown of how planting trees helps. Trees take up carbon through photosynthesis, converting carbon dioxide and water into molecular dioxygen (O2) and plant organic matter. Therefore, growing forests, whether in size or thickness of trees, will then increase in organic biomass and reduce atmospheric CO2 levels and soak up the pollution we spew out. What this means is the greenhouse emissions created by your purchase or from company activities are reduced through the purchase of credits. Participating in carbon offsetting does several positive things in terms of being “green.” An underlying positive quality the practice has is education. Having something like carbon offsetting available to the public brings the issue of global warming to people who may never have otherwise considered it . Simply discussing how our everyday habits increase global warming through the topic of carbon offsetting increases awareness. Traditionally, taking direct action to reduce pollution would be done by physically participating in volunteer activities, such as planting a tree or doing a beach clean-up. Now, we can just pay someone else to do it and, on top of that, we are able to calculate the amount needed for our individual impact as well as have the action taken target places that need them the most. Carbon offsetting essentially empowers people to act. Tangible action is the most obvious positive benefit. 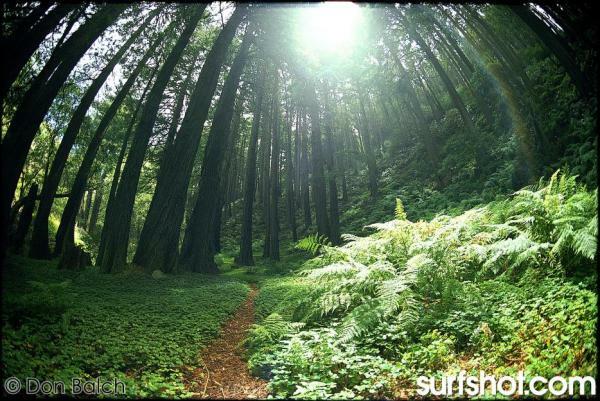 Greensurf.org is designing areas of reforestation specifically catered to surfers. The Nicaragua tree planting project is used to offset CO2 emissions for the CarbonFree Surfing program and is located just south of the surfing hotspot San Juan Del Sur, in the Rivas region. This is not only offsetting emissions but is also playing a key role in protecting the local watershed areas draining into the Pacific Ocean in Southwest Nicaragua. The eco-jury is still out on the issue of carbon offsetting. And although there are good things that come from the practice of buying your way out of polluting, there are things to consider about the programs and ideology behind the issue. Does the credit really negate the action? Simply put, how realistic is it to say that you are becoming neutral in your impact by doing an action that does not directly have to do with the pollution you cause? On paper and in theory the math can work out to become neutral but it is argued that in real world applications the only true way to fully negate the impacts is to not create them in the first place. As the profitability of carbon offsetting companies and organizations pop up, the legitimacy of the practice has to be scrutinized. There is no regulatory agency keeping an eye on how these companies perform mitigation except from non-profits that have been created only to test the offsetting companies. Unless the companies can offer scientific explanations behind how they calculate the impacts, then the consumer is left at the will of the company who typically has the bank account as the priority. Ideologically, the system set up behind mitigating individual impacts merits kudos. By making it easy for people and companies to participate, more people and companies participate. However, if it is easy to do and companies ultimately pass the fee on to the customer, what is to stop and prevent them from making changes in the way they pollute in the first place? Some offsetting companies, like Carbonfund, advocate pollution reduction and suggest that any pollution that cannot be reduced should be offset. Again, this sounds nice, but when the easiest thing is to just “buy off” your pollution, why would you take more expensive actions such as changing the way you do business? The issue is not whether carbon offsetting is a good thing or bad thing. It is a good thing! It is wonderful that Kelly Slater is trying to set an example of good stewardship as the most influential surfer of our time. But is it enough and does it provide a cop-out mechanism and prevent people and companies from making effective changes to reduce their actual pollution before it starts? It really all depends on your perspective and how green you want to be. I participate in carbon offsetting, but I put my priorities on reducing pollution before I make it. This entry was posted in Ecologic, Magazine . Bookmark the permalink.